Ben Levine is an associate in the Litigation practice. During law school, Ben was involved with the Criminal Law Clinic, where he worked as a public defender for indigent clients in Boston. Ben also served as note editor for the Journal of Science and Technology Law. 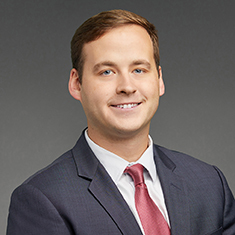 Prior to law school, Ben worked as a litigation project assistant at a large Chicago law firm. Shown below is a selection of Benjamin’s engagements.